See this version one last time before we unveil a brand new Nutcracker in 2018! Add some sparkle and a little dash of magic to your holiday season with an incredible adventure into a glittering world of wondrous delights. Perfect for young audiences and the young at heart, Atlanta Ballet’s Nutcracker at The Fox Theatre is a must-see this December. It is your last year to experience this version of The Nutcracker before Atlanta Ballet unveils a brand new production in 2018, so get your tickets early! The Fox Theatre is Atlanta’s most opulent historic landmark and a nationally acclaimed theatre. The Fox Theatre is located at 660 Peachtree Street at the intersection of Ponce de Leon Avenue and Peachtree Street. Parking for the theatre is available in a variety of lots within a four-block radius. Parking prices range from $4 - $15. The Fox Theatre is also easily accessible via the North Avenue MARTA rail station. Visit www.itsmarta.com for more information. Doors to the Fox Theatre will open 60 minutes prior to the show’s start time. Guests will be permitted to enter via the Arcade at the main entrance on Peachtree Street. Your security is of the upmost importance to us! Each guest will be required to pass through a security check point in order to gain entrance in to the theatre. Magnetometers will be in use. Prohibited items include weapons of any kind (firearms, knives, pepper spray, etc), bags larger than 8.5”x11”, illegal substances, outside food and beverage, animals or pets, and professional cameras. Thank you for your cooperation! 404.881.2100 is the emergency number for the Fox Theatre. Please leave your seat location with your babysitter or answering service so that an usher may reach you in case of an emergency. Phonic Ear Easy Listening System headsets are available in the Fox Theatre lobby. Headsets are free and available on a first-come, first-served basis. Assistance is also available for patrons who need help upon arrival at the Fox Theatre. For more information, please call 404.881.2100. Click here for restaurant, hotel, and additional venue information. It only takes 10 people to benefit from Atlanta Ballet's Group Sales program. With our fast, friendly and convenient service, you can secure the best seats in the house in no time at all. Groups save up to 40% on regular prices! Click here for details and to submit a request to Myredith Gonzales, Group Sales Manager. The Centre for Dance Education's Kids In Step program is designed to bring dance to the school-age child. For more information on weekday performances for accredited school groups and registered home schools, please visit our Kids In Step page. I saw the nutcracker live performance at the Fox last night. Kiara Felder and her partners solo performance in the second half of the show was breath taking; I was moved to tears. She has a gift and you guys are very blessed to have her.The entire show from start to finish was amazing. I will be attending as many performances as possible in the near future. GREAT job! New fan of Atlanta Ballet. Innovative choreography Family enjoyed it immensely Fox always a special venue. The Fox is the most magnificent theater I have ever been in! I am still sharing photographs with friends and encouraging them to go when in Atlanta. The performance was exceptional and I recommend it as a Christmas "must see". I took my 5 daughters for a fun Christmas outing. The changes to the second act were disappointing. Missed the emphasis on the Nutcracker and the Rat King, and the dream sequence. However, it was still a very good performance and we enjoyed it very much. This was a really wonderful show. Will definitely be going back next year! A great show for family, but obviously not for audience who prefer the original version. The stage setting, costumes and dancing were brilliant, but if I didn't read the story beforehand, I would have no idea what was going on. The second half was like a mix of ballet and acrobatics. Not as good as expected, but still good! For many people, seeing a performance of The Nutcracker is a holiday tradition, and none of us can escape the music once the Christmas season cranks up. The Atlanta Ballet invited Weekend Express behind the scenes of its production at the historic Fox Theater. After 21 impressive years transforming the Atlanta Ballet into one of the world’s most celebrated dance companies, Artistic Director John McFall will drop the curtain on his tenure in June 2016. In this exclusive interview, the acclaimed dancer, choreographer and director walked down memory lane with Where and discussed why the arts should play more of a leading role in children’s educations. Catch McFall’s final "Nutcracker" through Dec. 27 at The Fox Theatre. 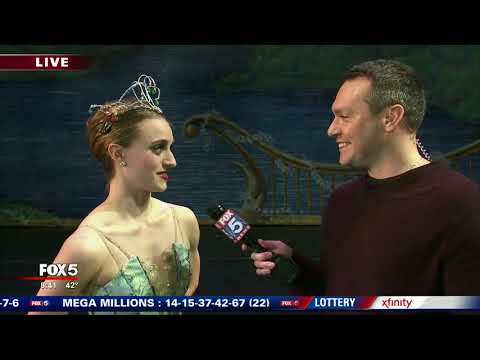 Good Day Atlanta's Paul Milliken stopped by the Fox Theatre to chat with Mr. McFall and look back on his long, storied history with "Atlanta Ballet's Nutcracker." Jackie Nash from the Atlanta Ballet came by the station to discuss her life as a dancer and The Nutcracker. Todd Schnick and Bryan Nonni are joined on the Atlanta Real Estate Forum Radio show by Jonah Hooper, a company dancer with the Atlanta Ballet. 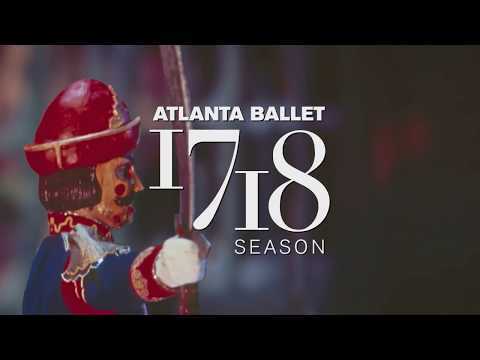 The trio discusses the Atlanta Ballet, the upcoming opening night of The Nutcracker, intimate details about the production of The Nutcracker and upcoming events for the Atlanta Ballet in 2016. It is fitting that the largest public celebration currently planned during McFall’s last season takes place around “The Nutcracker.” His first full-length ballet during his initial year as director, the production has provided essential thrust as the organization has reached new heights in revenues, infrastructure and artistic quality under his watch. John McFall studied dance with Ms. Tatiana Dokoudovska who not only taught the art of dance but also inspired him to pursue an adventurous life in theatre. At sixteen, he was contracted to dance at Kansas City’s Starlight Theater, one of the premier showcase summer stock venues in the country. Following this, he became a principal dancer with San Francisco Ballet for two decades, working with distinguished choreographers and touring the world. John became recognized as a choreographer himself and was commissioned to create premieres for a variety of companies, including San Francisco Ballet, Dance Theater of Harlem, and National Ballet of Canada. Mikael Baryshnikov invited John to create two works for American Ballet Theater in which Mikael also performed. On the heels of his dance career, John joined BalletMet as artistic director, moved the company into a state of the art facility, created new repertoire, and introduced BalletMet to the touring circuit. This financially stabilized the organization, added months to dancer contracts, and inspired the finest artists to join the company. In 1994, McFall became artistic director and CEO of Atlanta Ballet, where he immediately established the Atlanta Ballet Centre for Dance Education with the focus of bringing dance arts into public schools. His keen interest in programming innovative works led to collaborations with artists like the Indigo Girls, Antwan André Patton (Big Boi) from OutKast, Alexander Ekman, Ohad Naharin, Wayne McGregor, Jorma Elo, Alexander Ratmansky, and James Kadelka. The mix of ballet with cutting-edge choreography from around the world is a trademark of John McFall. As choreographer of Atlanta Ballet’s Nutcracker, Mr. McFall’s intent is to present an entertaining family production that over one million people have happily witnessed to date. Thank you for joining us for Atlanta Ballet’s Nutcracker and helping sustain the mission of Atlanta Ballet.